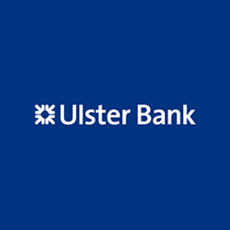 Ulster Bank operates both in the Republic of Ireland and Northern Ireland helping personal, small business, private and commercial customers with their banking needs. Understanding and delivering help for what matters to its customers is what Ulster Bank seeks to do every day. Helping them have a positive and encouraging experience is the root of the bank’s ambition to be the best it can be for all its customers and the communities it does business in. Ulster Bank has been recognised as Ireland’s most responsible business at Chambers Ireland Awards for Corporate Social Responsibility. Ulster Bank’s people continue to demonstrate their passion for local causes with community programmes like Give A Day and One Week in June.